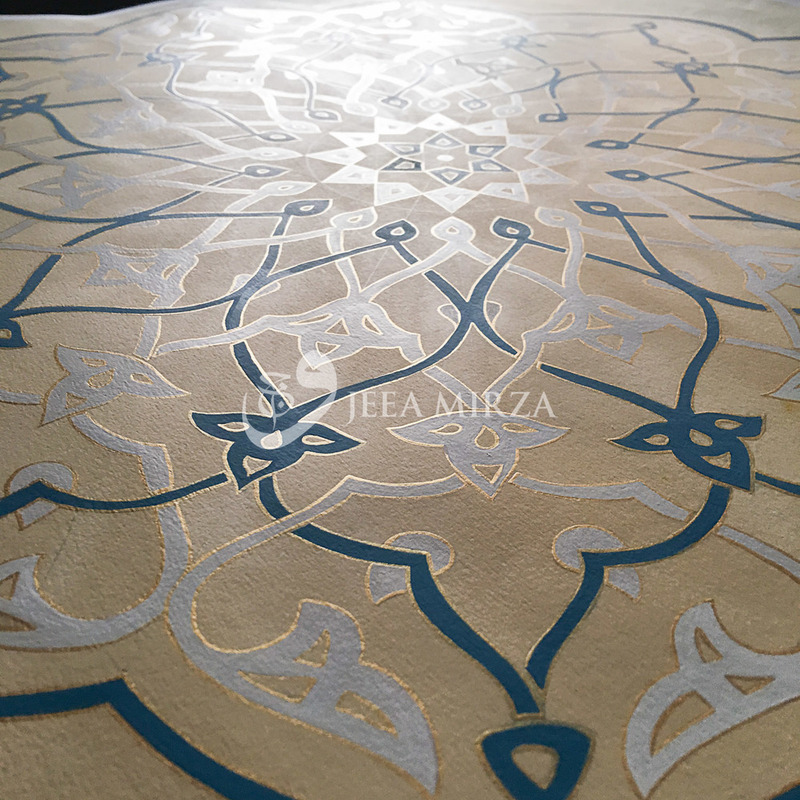 Islimi or "Arabesque" patterns are based on floral, foliate or biomorphic designs and can be seen through out the Islamic world. These forms are typically based on a spiral, from which stylized buds, leaves and flowers emerge in gentle sweeping curves that mimic the underlying order of nature. Islimi compositions are reflected, repeated and tessellated to create harmonious designs that can be used on a variety of media. © 2016 Wajeea Mirza. A Turkish Rumi motif painted in red ochre hand ground pigment. The brush in the image is a Winsor & Newton series 7, size 3/0 (000). © 2016 Wajeea Mirza. A Turkish rumi motif painted in viridian hand ground pigment. Materials: gouache on tea stained Fabriano paper.